FCCLA districts this year was held at Merino, CO. Anna Jelden, student and 4-year FCCLA participant, went to the district conference. She participated in ice breakers, learned leadership qualities, and even helped lead a workshop. Anna's favorite part was leading the workshop with her fellow classmates Tica Penzing and Brandon Nevarez. Anna's 2018 project is parliamentary procedure. 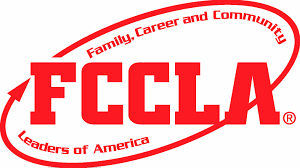 FCCLA stands for Family Career and Community Leaders of America and is a great club. Anna states, "You get nice leadership skills, you meet cool friends, and you have a great time!" If you think that sounds fun, join FCCLA for a life-changing experience.